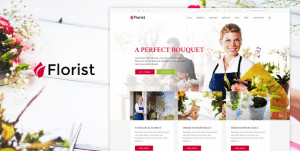 If you are looking to build a website for your Florists you will want to find a suitable theme that will give you a high quality website. There is a wide range of different WordPress themes out there designed for florists which can make it tricky to find one that right for you. 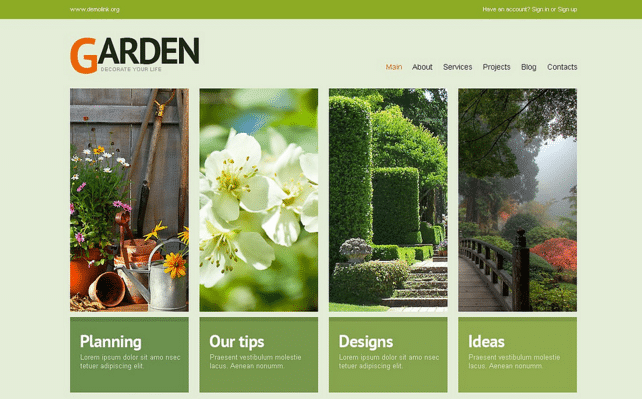 We here at WP Carers put together this list ofย 7 WordPress Themes for Florists to help you narrow down your search and find a nice theme. This theme is a slick WordPress Flowers theme that is perfect for Florists, garden centres and other landscaping jobs. The Theme is fully compatible with free WooCommerce v2.2.x shop plugin which allows you to sell anything you want. 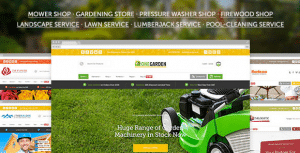 123 Garden has the Visual Composer plugin built in as standard so you can create and customize a number of great webpage using the simple drag and drop interface. Garden Design is a user friendly website with a very engaging and smooth layout. The template allows you to embed s number of social media buttons to your website in a neat and tidy manor which will allow you to grow your traffic through social media shares without the button obstruction the design of your website. 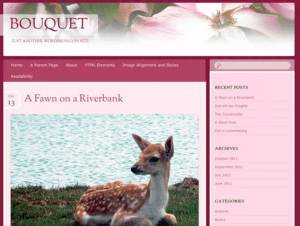 This theme is a user friendly theme that is really simple to setup and use. It comes with a highly responsive design that will resize to fit on any device, It has a retina ready display that ensure that your website will be displayed as crisp as possible. The theme is built using HTML5 & CSS3 and is coded using some of the SEO best practices for high search engine rankings. Organique is also cross browsers compatible and will have no problems with any of the top browsers like Chrome, Safari, Opera and Internet Explorer. FlowVin is a feature rich theme that was built on the Bootstrap 3 framework. It is built with some really cool and customizable effects and Animations. It allows you to upload youtube video backgrounds onto your website which will give your website a really professional look. It is integrated with WooCommerce which will allow you to sell your products to your customers directly online rather than have them come into the shop. 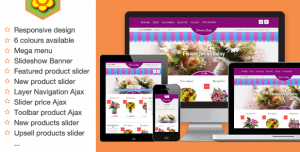 Flower Shop is modern, super flexible and has a fully responsive design that will fit any device. It Allows you to insert some really great looking sliders that will take your websites appearance to the next level. The theme is also 100% HTML and CSS compliant and is cross browser compatible ensure its seamless display on all the top browsers. This user friendly theme only needs a single click for the installation process. 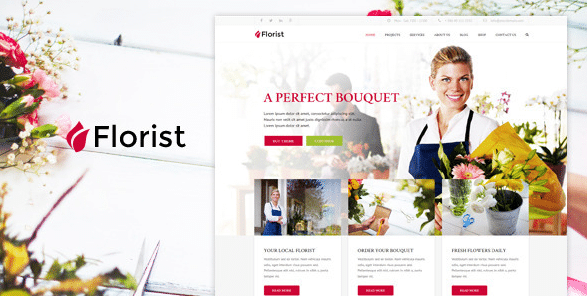 Florist is a feature rich WordPress Theme itย includes the ย Visual composer, revolution slider plugins, woocommerce support and a advanced admin panel making this a useful theme for any florists or garden centers. It has a fully responsive design and comes with a boxed version that gives your website more flexibility. Florist also uses some cool CSS animations that add an engaging feel. 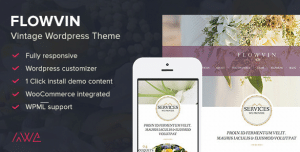 Notable features include two floral schemes, a responsive layout structure that adapts to smaller devices, a right sidebar, a full-width template, support for post formats, custom background, and custom header. 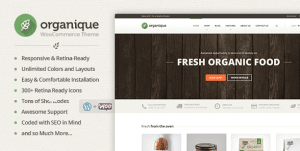 This simplistic theme can be manipulated to make a really good looking website.